Popular drinks like the Moscow mule and dark and stormy require a great ginger beer. This brewed "soda" is an essential mixer for those and many other cocktail recipes that require a snappy spice. But not all ginger beers are created equal—the flavor of each one is actually quite diverse, ranging from very spicy to sweet and relatively tame. 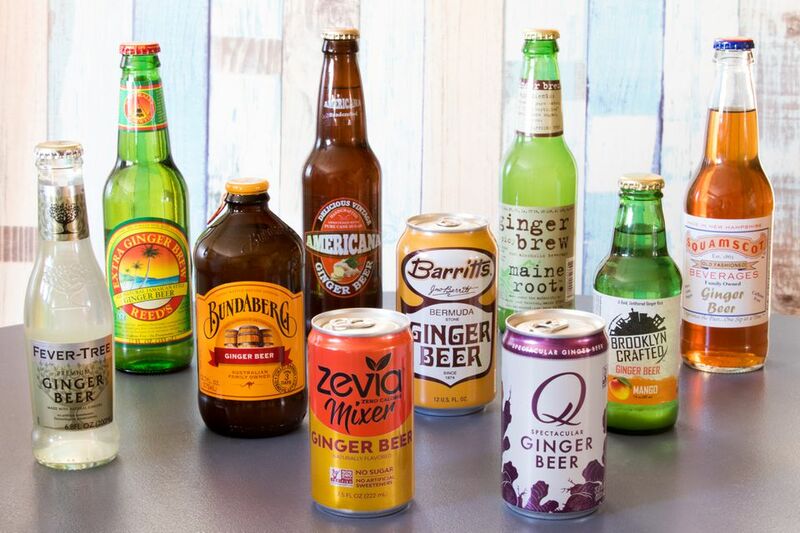 To help you navigate the options available, here are 10 ginger beers that will tickle your taste buds and make a fine mixed drink. In fact, these are so good, you may want to drink them as is—no liquor needed! 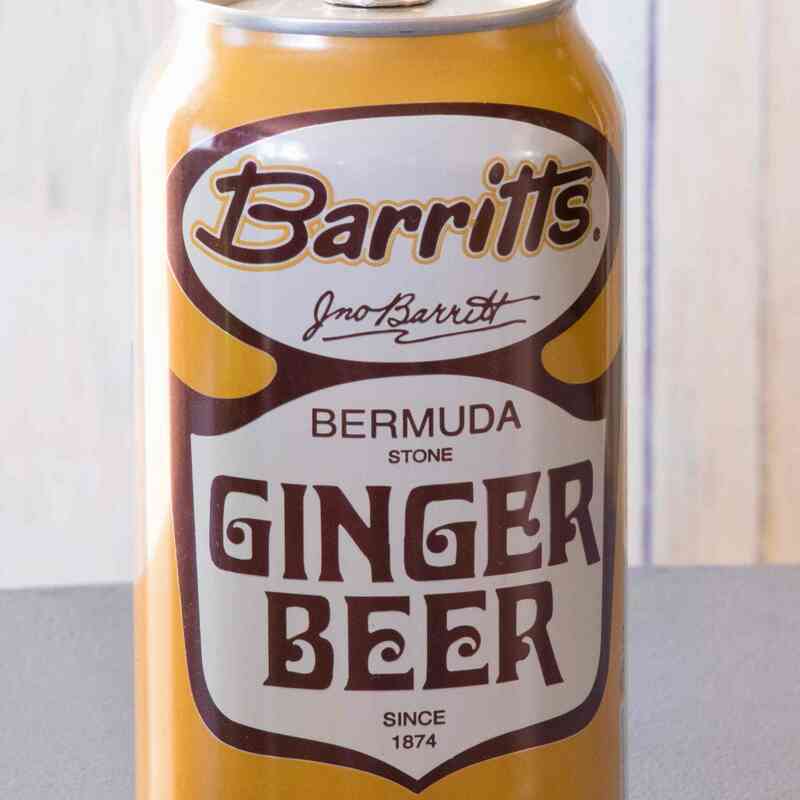 Barritts has been the standard in ginger beer for years and is called for in the original dark and stormy recipe. If you want an authentic taste of that cocktail, pair Barritts with Gosling's Black Seal Rum. Both familiar and readily available—often appearing with other mixers near liquor, even in grocery stores—Barritts is reliable. It's made with high fructose corn syrup (HFCS), so there's a sweetness reminiscent of mass-marketed sodas. The ginger isn't overpowering and it has a great fizz that almost anyone will enjoy. Barritts also offers a diet version, which is calorie-free and made with no sugar. Bundaberg should be considered a benchmark for great-tasting ginger beer. You can't help but miss the stout, dark bottle outfitted with a bold yellow label and pull tab. A family-owned Australian company, Bundaberg reveals exactly how it's made. It's just like beer—wort, fermentation, and maturing—so it's the real brew. The recipe uses cane sugar and real ginger, offering the perfect balance of sweet and spice with a warm foamy fizz reminiscent of dark beers. If you prefer, their diet version tastes good as well and significantly reduces the calories and sugars. A number of soda companies have focused specifically on developing products for mixed drinks. One of the leaders in this realm is Q Drinks and their ginger beer will make one of the best Moscow mules you've ever had. A number of things set Q Ginger Beer apart. It's sweetened with organic agave nectar and, if you love spice, you'll definitely enjoy the chili peppers, coriander, and cardamom that accent the real ginger. There's also a hint of lime and extra carbonation. It results in a tantalizing, fun, and refreshing ginger beer. Like many cocktail-focused brands, Q Ginger Beer is sold in small cans and bottles, averaging 7 ounces each. It's the ideal volume for filling your glass, leaving nothing behind to go flat. The other pioneer in cocktail-worthy mixers is Fever-Tree. You may know them best for their full line of tonic water, but their ginger beer is equally outstanding. Three types of ginger—from Cochin, India, Ivory Coast, and Nigeria— go into this brew, giving it a depth that's not found anywhere else. It's warm and spicy, not too sweet, and very refreshing, thanks to the carbonated spring water. Fever-Tree also sells a "Refreshingly Light" ginger beer made with fructose. It cuts the sugar, calories, and carbs in half, but the taste will not let you down. The bottles are also served in minis, which helps reduce waste in the bar. For a little adventure, pick up a bottle of ginger beer from Brooklyn Crafted. Made with pure cane sugar, fresh ginger, and organic extract, it's definitely for true ginger beer lovers. Since it's unfiltered, you can even find pieces of ginger floating in every bottle. Spicy does not even begin to describe these ginger beers, which means it will not get lost in even the most complex cocktails. Even their ginger ale packs a punch. The company likes to play with flavors. Beyond their Extra Spicy and Sugar-Free Extra Spicy varieties, they also offer mango, lemon-lime, and even Earl Grey flavors. There's a lot of opportunities here to create fascinating new drinks. Reed's Extra Ginger Brew is one that you may be able to find in a store near you. It's mixable, great with any liquor—including whiskey—and it's drinkable on its own. This one can quickly become a favorite. Made with raw cane sugar and honey, it includes pineapple, lemon, and lime juices as well. It's made in the Jamaican style, so it has that ideal amount of ginger snap, too. Reed's offers a variety of flavored brews, including raspberry, spiced apple, and cherry. When you see a pack of Maine Root Spicy Ginger Brew, pick it up! (It's also available online.) The drink tastes great, the brand has some feel-good practices, and it makes some very fine cocktails. Maine Root is made with fair trade organic sugar cane juice and has a prominent unmistakable spice. The kick of ginger is offset by a slight sweetness and the bubbles bring it all together, creating a top-notch ginger beer. The majority of sugar-free ginger beers leave a lot to be desired because alternative sweeteners tend to fight the ginger. Zevia Mixer Ginger Beer is one of the best options and a good choice for a healthier mule. It was designed to be a cocktail mixer, comes in small cans, and is often in the mixer section of liquor and grocery stores. This one is sweetened with Stevia leaf extract. That does add some bitterness, which takes some getting used to, but the ginger is still present. Even drinkers who enjoy real sugar cane find it surprisingly drinkable. There are some rare ginger beers that are worth hunting down. Americana "Delicious Vintage" Ginger Beer is one and it's a pure delight, both for mixing and drinking straight. This one is handcrafted and part of Orca Beverage's retro soda line. They're vintage soda specialists, keeping the best names in soda in business, including Dad's Root Beer to Moxie. It's similar to Barritts, but is made with pure cane sugar, which makes a big difference in flavor. The carbonated spice of the ginger is tingling, robust, and lively. Overall, it definitely has that old-fashioned taste—sort of like the sasparillas that spark fond memories, only gingery! For a true sip of old-school soft drinks, give Squamscot Ginger Beer a try. It stands on its own and is particularly tasty with rum, so it makes a great añejo highball. The darker brew uses cane sugar, isn't too sweet, and has the perfect snap. Squamscot has been handcrafting sodas in New Hampshire since 1863 and they have many fun flavors to explore. Their small size does make finding this ginger beer a bit of a challenge, but it's worth the effort. A number of online soda shops carry it or, if you're in the area, you can stop by their store in Newfields.